For riders who want a challenge, the epic 69-mile mountain loop includes nearly 5,000 feet elevation gain and inclines up to 12%. This stunningly scenic route takes riders up Left Hand Canyon, through Ward and along the dramatic Peak to Peak Highway before an exhilarating descent on Colorado 7 into Lyons. 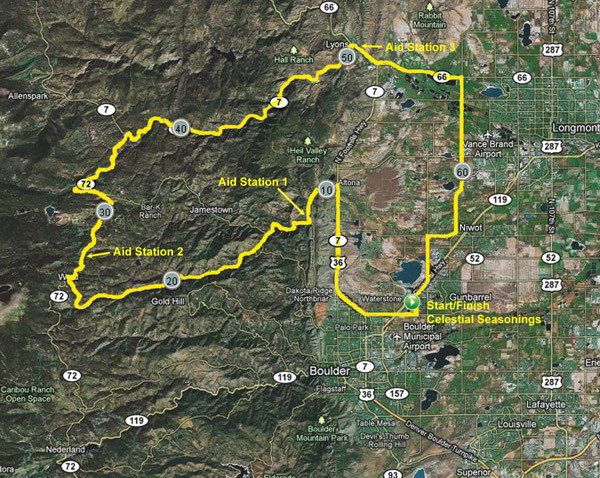 The ride finishes on gently rolling terrain with great panoramic Front Range views.